Leftovers. Definitely use leftovers when practical or possible. I bought this awesome insulated Thermos Food Jar for packing hot foods like soups or rice and beans. 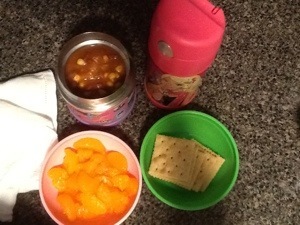 Today’s lunch is Mexican corn and bean soup (get the recipe from weelicious.com), whole wheat crackers and mandarin oranges. And of course our thermos of water. This bottle is a Thermos Funtainer as well. It’s insulated and always still has ice in it when she gets home from school! Lead as you know is toxic, which makes it surprising that it is in lunchboxes and backpacks. 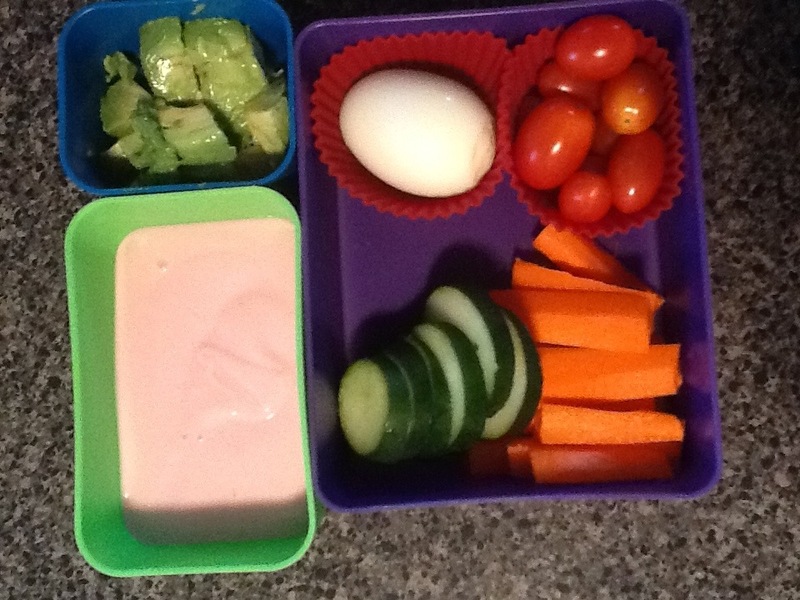 PVC is toxic as it contains phthalates and lead so it’s important for lunchboxes to be lead-free. And BPA is the hormone disrupting chemical found in plastics whose toxic effects have been hitting the news and blogs for the last several years. 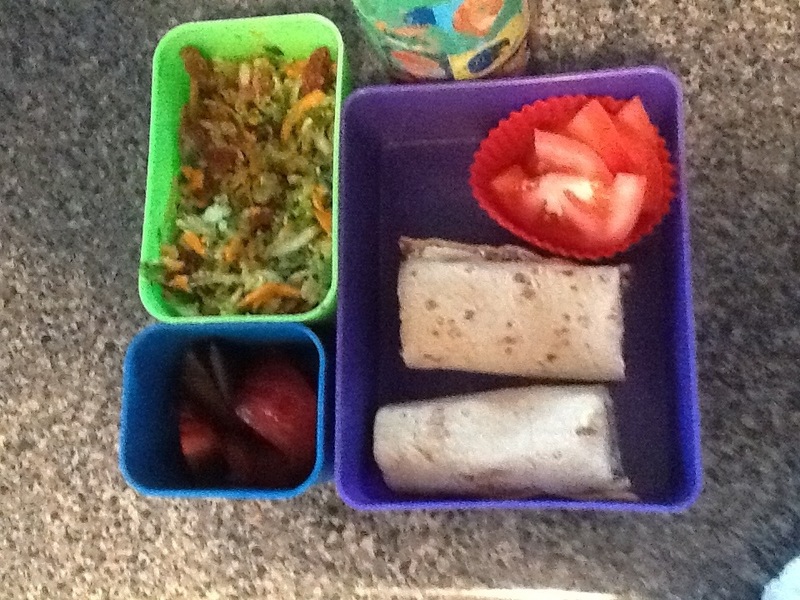 Kids are going to be touching the lunch box with their hands, then eat their food with their hands, so it is important for your child’s lunchbox to be free of these nasty chemicals. 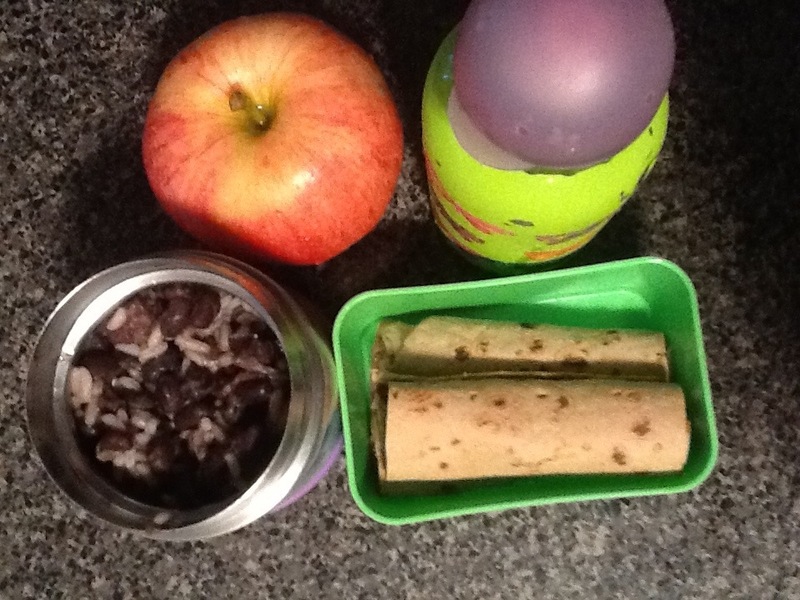 Before purchasing a lunch box for your child, read the label. Make sure it is not made of PVC. Stainless steel, nylon, polypropelyne or cloth are much safer materials. Look for tags that say PVC-free (NOTE: PVC-free means the lead levels are below the amount deemed “safe” by a government agency). You also want to avoid BPA if you are purchasing a water bottle or food storage containers. Citizens Pip You can customize your lunch box with accessories — separate food compartments, stainless steel bottle, cloth napkins, fork/spoon set, and of course the lunch box itself! Crocodile Creek. Traditional lunch box style that is well-made and have very cute traditional style, zippered lunch box and kid-friendly designs. LunchBots stainless steel containers. Several types to choose from. Does not have a bag though. Munchlers look like zoo animals and they fold out into a placemat, which is great. They are insulated and come in several designs including a yellow tiger, white dog, green bunny and pink panda. My daughter has the white dog – very cute. PlanetBox is by far the most pricey, but it’s a very cool system. 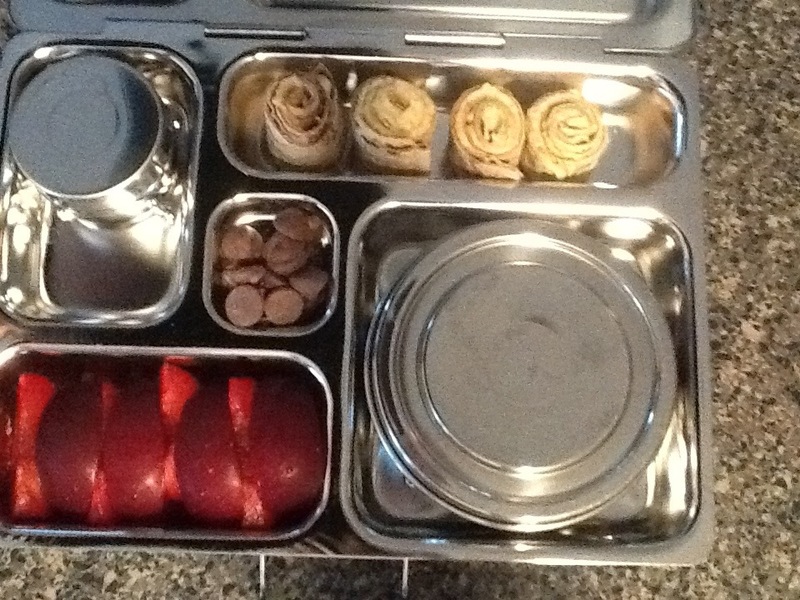 It’s a bento-style box of stainless steel that is dishwasher safe. You can customize with cute magnets. The deluxe set has 2 dipper bowls and a carry bag that has a place to store a water bottle and little extras. The main drawback is the hefty price: $59.99, plus almost $11 in shipping. However, it is something that is sure to last for years. Lunchopolis is another zippered, traditional style, no-nonsense lunch box. 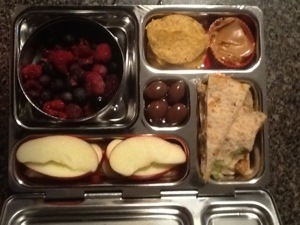 The lunch box lining is aluminum which I don’t care for. Also available are BPA-free containers and water bottles. 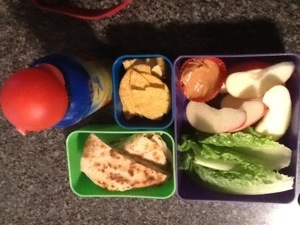 Kid Konserve is a similar to Citizens Pip’s customizable lunch box system. You can get ala carte or as a system. Thermapod is another similar concept to the laptop lunch. ZAK Designs offers several licensed character insulated lunch boxes that are lead free and lined with PVC-free material. Note, they just mention “PVC-free lining” so leads me to believe the entire lunch box may not be PVC-free. But a phone call to ZAK confirmed they are entirely lead-free. Wal-Mart and Target carry Zak lunch boxes. 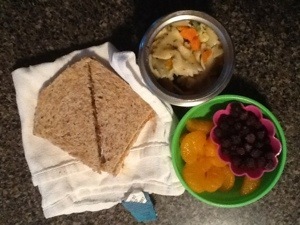 ReusableBags.com has a whole section also dedicated to lead, PVC, and BPA-free lunches. I bought two ACME lunch bags — one to carry bottles in for my son to daycare (it fits three Dr. Brown bottles) and one for me for the milk I pump for him at work (it fits six medela bottles).